All phases of the Design Process are essential. The client’s tastes, wishes, and ideas are synthesized with Mark David Levine’s own innate visualizations formulated from years of experience. Energetically pursuing the full scope of creating the ‘art of landscaping’ in an exemplary manner so as to create better lives and living environments for those who want an ‘enlightened’ experience. This is the inspiration and vision of Mark David Levine. 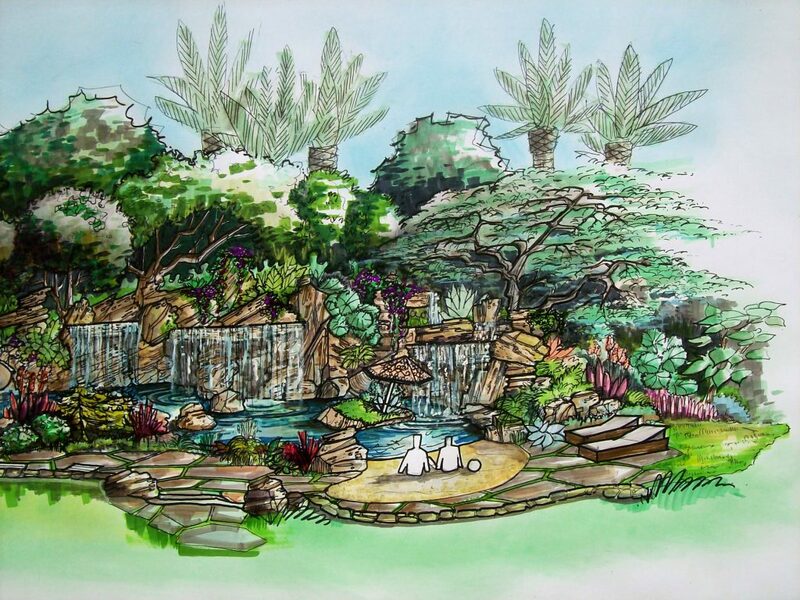 The result is an “exclusive statement.” “I honestly consider myself more of a landscape artist, creating art with all the elements of nature!” Your individual landscaping defines a beauty that is yours, and its statement speaks for itself! 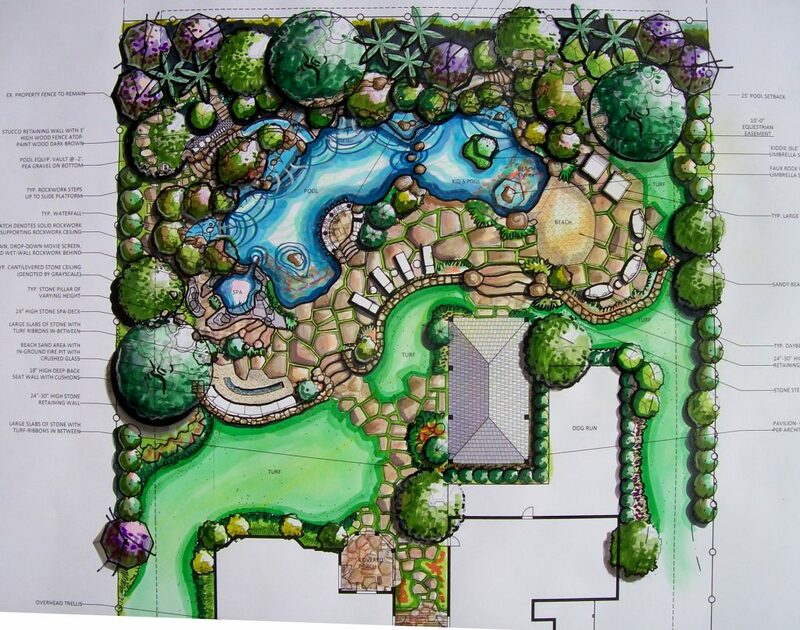 Our Design Process is facilitated with an initial client consultation where Mark David Levine learns about your landscaping wishes and desires…aesthetic as well as functional. Analysis of your site, and its constraints; the design compliance with applicable codes and ordinances are also essential prior to commencing with the Concept Plan. The most important task a designer should achieve is to fully understand your unique lifestyle and tastes. How do you plan to use the garden ‘space’ over the upcoming years? We want to provide you with strong direction for implementation as well; the garden must be functional as well as outstandingly gorgeous! Spectacular waterscape environments include captivating swimming pools, waterfalls, and spas, tranquil ponds and fountains. Distinctive hardscapes; formal, modern, or natural may include a primary entry, driveway, backyard patios, Pool and Spa, outdoor rooms, Sauna, Fireplaces, gas fire pit, fountains or needed retaining walls; how you treat Hillside/Slope conditions is imp erative in successfully mitigating erosion control aspects. Additional ‘conversation areas,’ and appropriate selection of patio surfaces are integral to the environment. In addition, unique tile, marble, limestone, wrought iron and various stone applications may also be a part of the overall statement. Elegant and aromatic plantings or stunning and distinctive water conserving drought-tolerant varieties can also include Faux lawns. They may be chosen specifically from your home’s own unique architectural theme, exposure, and character. Faux lawns today have their specific use and are so realistic you can’t tell the difference between Faux and real lawns. Faux putting greens are a wonderful addition to the garden setting; a special place to retreat to for some fun and relaxation. Today, being cognizant of efficient water practices is essential. An organized, beautifully designed BBQ/Food Center is another wonderful area for people to congregate. 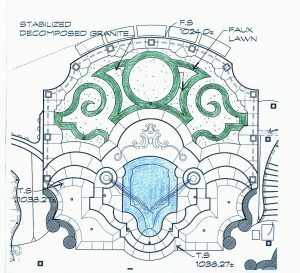 Imaginative outdoor lighting and strategically placed Overheads, Pergolas, and Gazebos are regarded as parts of a total overall initial Concept actualized in a highly colorful and distinctive Concept Plan. 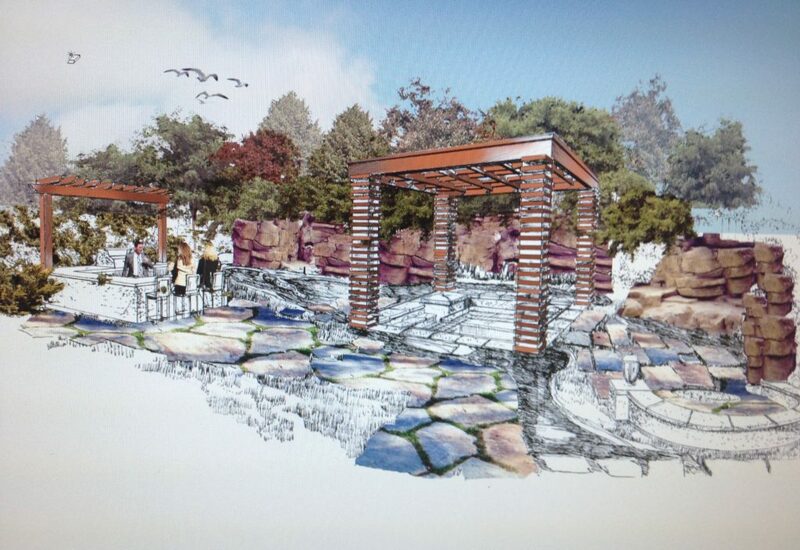 Once the Concept Plan has been approved, the Mark David Levine Design Group shall provide Construction Drawings. In most cases, these shall include the Construction Lay-Out Plan, Grading and Drainage Plan, Irrigation Plan, Planting Plan, and Lighting Location Plan; and, Construction and Planting Details. Construction Drawings are used to procure bids for the Construction Phase. The Homeowner is free to obtain construction bids from other companies in addition to a total Construction Cost Breakdown for the complete installation by the Mark David Levine Design Group.